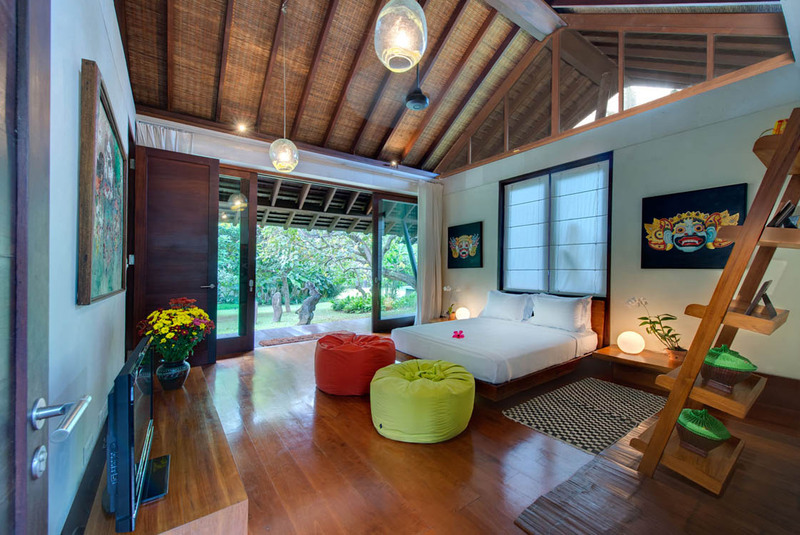 Luxurious Sanur villa on the beach - rent this now! 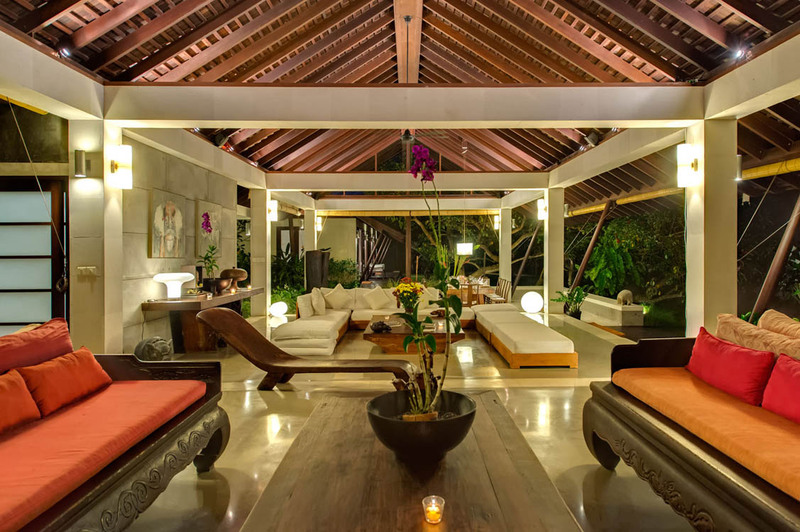 Villa Samadhana is a beautiful 5 bedroom ocean front Sanur villa rental that is sure to instill a sense of peace and certain to deliver a holiday escape of pure relaxation. 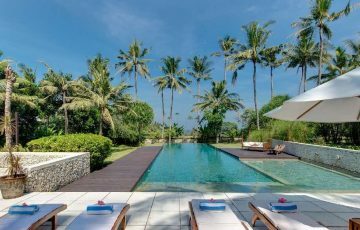 Situated in the peaceful seaside village of Ketewel just passed Sanur, Villa Samadhana features 5 luxurious bedroom suites with gorgeous ocean views, a stunning 25 metre infinity pool, all set among lush rice fields. 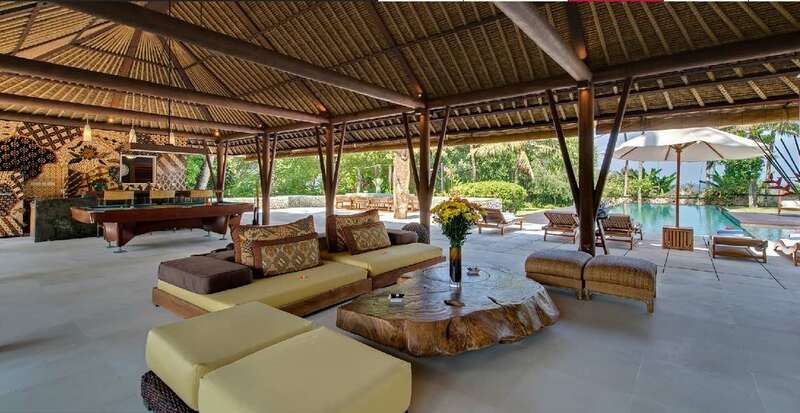 The villas sprawling tropical gardens provide for the perfect setting to host a wedding or special event with family and friends. 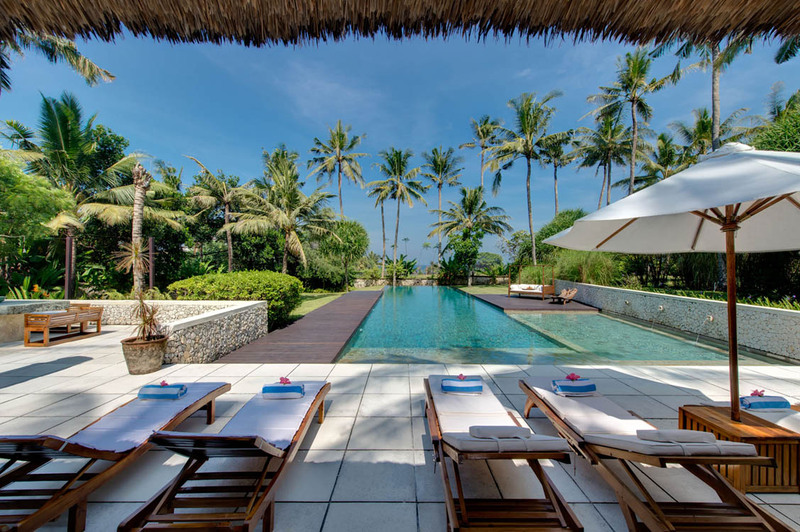 From the main pavilion, the sparkling infinity pool stretches out toward the ocean where swaying coconut palms create a perfect tropical setting. 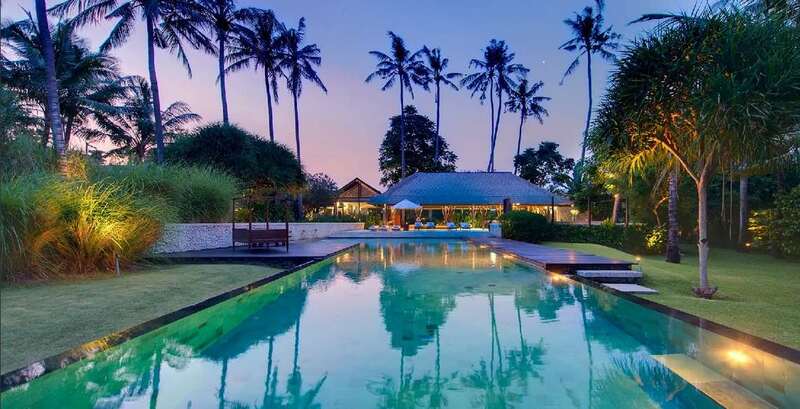 A large tiled pool deck furnished with sun lounges is a great vantage point to take in a beautiful view of the pool, manicured lawns and amazing ocean backdrop. 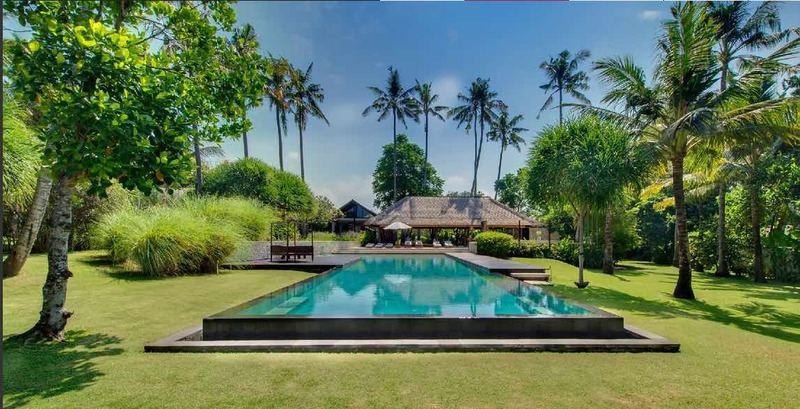 To the right is a wading pool perfect for the kids to play and a retaining wall with pouring water fountains and a timber deck houses a comfy day bed for soaking up the tropical rays. 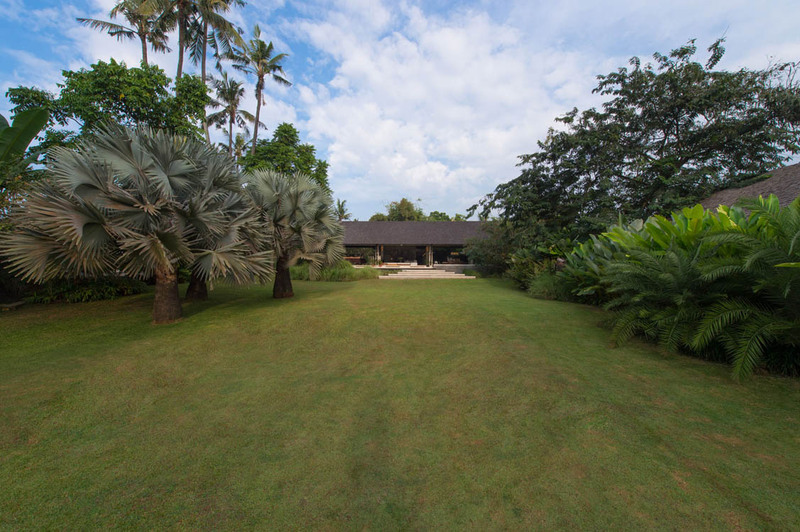 To the left is a large outdoor sofa and dining area, the gardens expansiveness creates a fantastic sense of peaceful isolation. 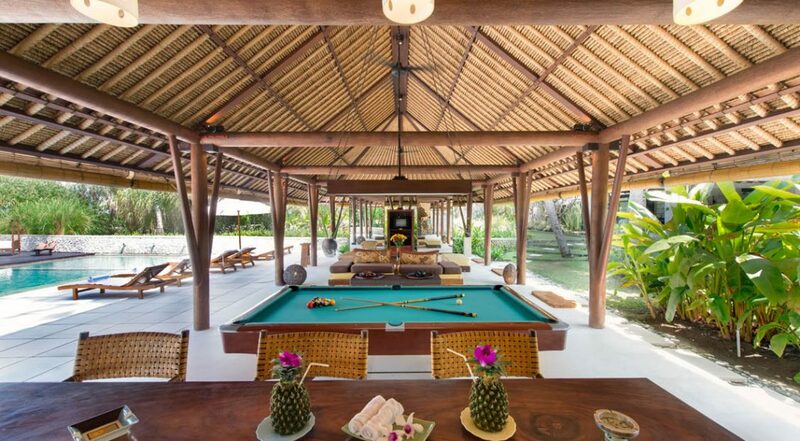 At the top of the pool is a huge open-air pavilion, featuring a traditional thatched roof with rich exposed timber beams, the area is fan cooled. 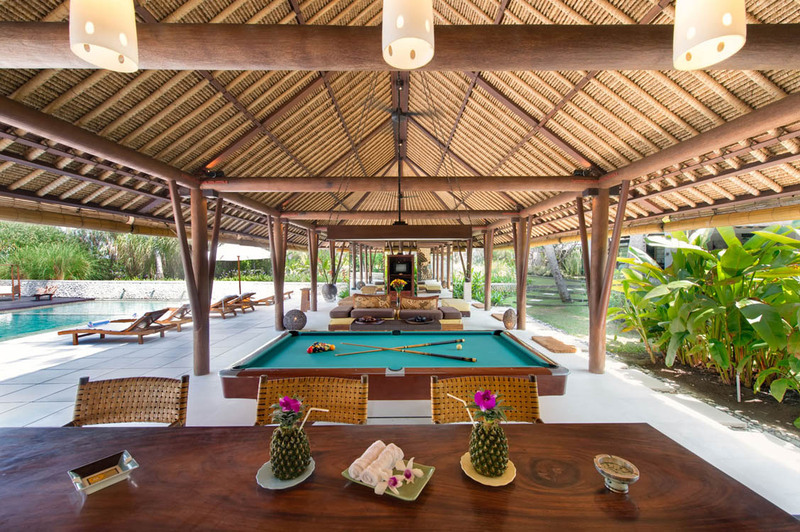 At one end is a fully serviced bar with rustic stools right beside the snooker table, a great spot for lots of fun and laughter. 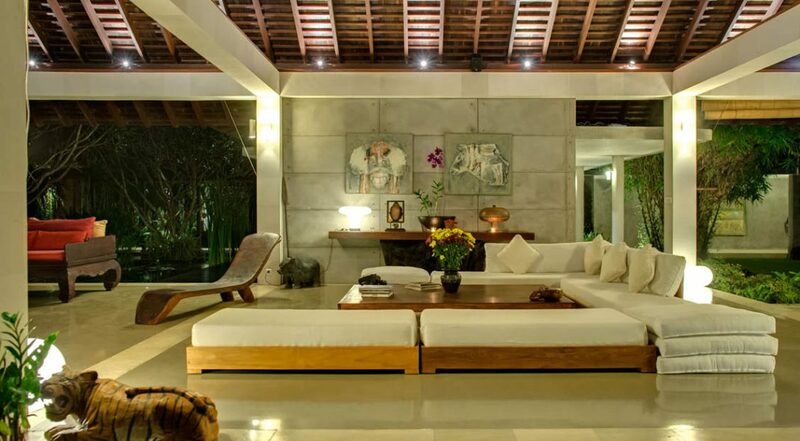 You can chill out on the large sofa settings and there’s a TV to watch live sport on as well. 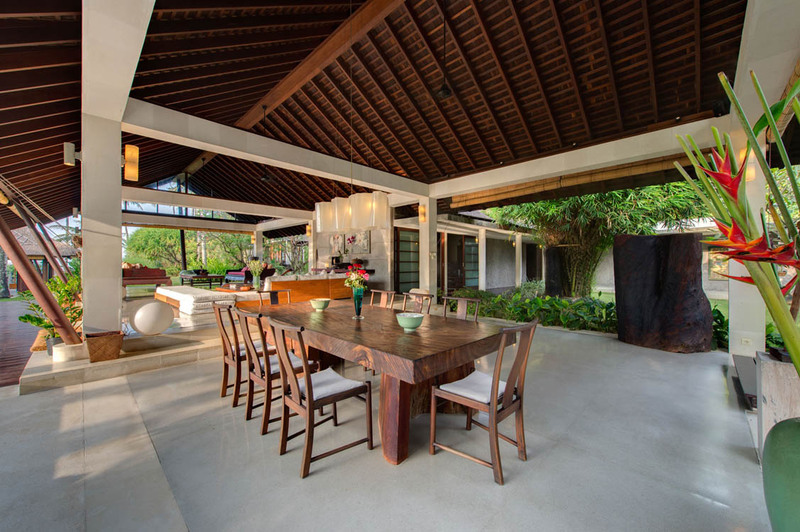 A second open air- pavilion provides for more formal entertaining and features a large natural timber dining table and sitting area. 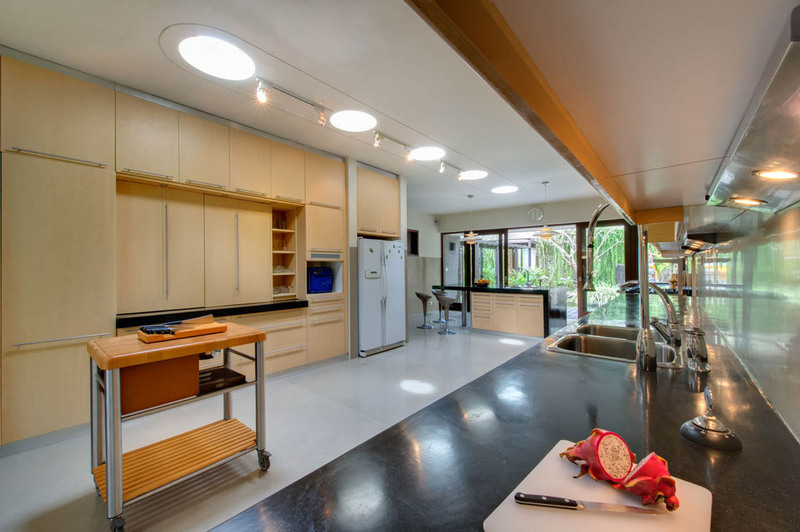 The staff can prepare meals of international and local fare as you request, there’s a huge fully equipped kitchen capable of catering for house guests or a larger group attending a formal function such as a wedding. 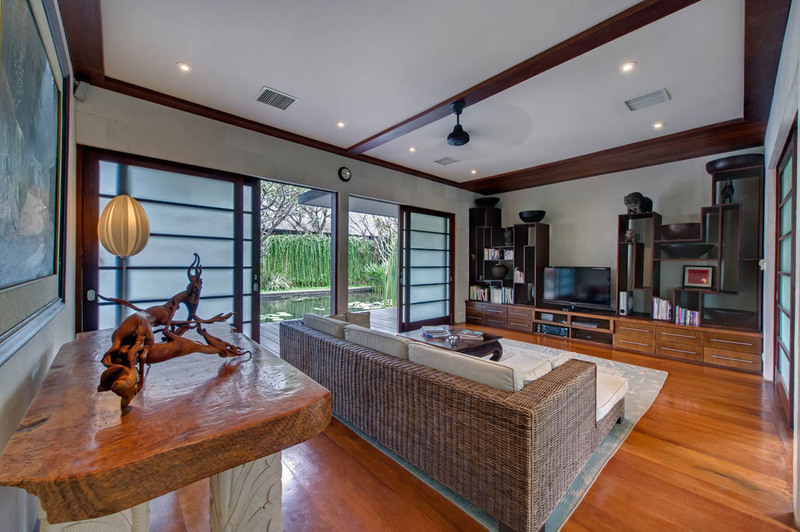 A separate, fully air-conditioned media room has the very best of entertainment appliances and a large sofa to cater for several guests at one time. 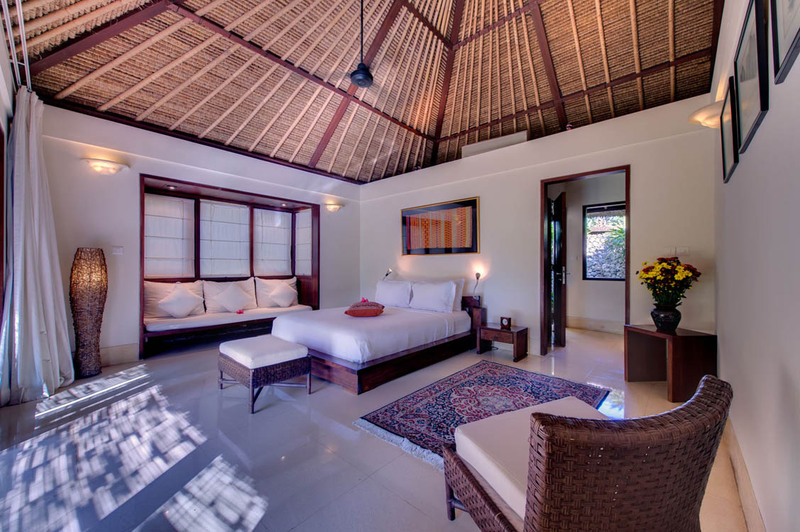 Five bedroom suites are beautifully appointed all with unique individual furnishings; they are a blend of traditional Balinese design complete with all the modern amenities you would expect at a five star resort. Air-conditioned and fan cooled they feature a mix of king, queen and twin size beds. 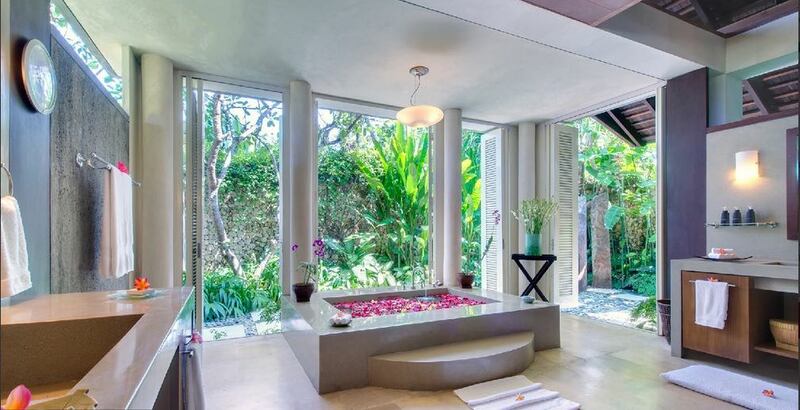 The en- suites are open-air with selection of beautiful soaking tubs and monsoon showers, featuring tropical outdoor gardens and water features, taking your bathing experience to a whole new level of sophistication. 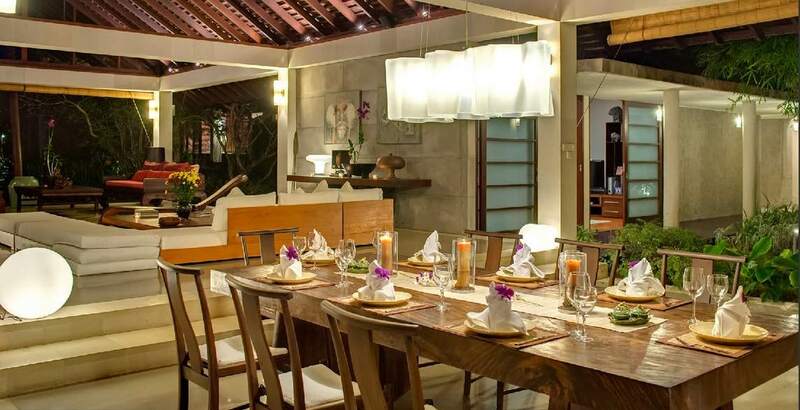 The villa is geared for large families or groups of friends but also capable of catering for up to 100 guests for special functions. 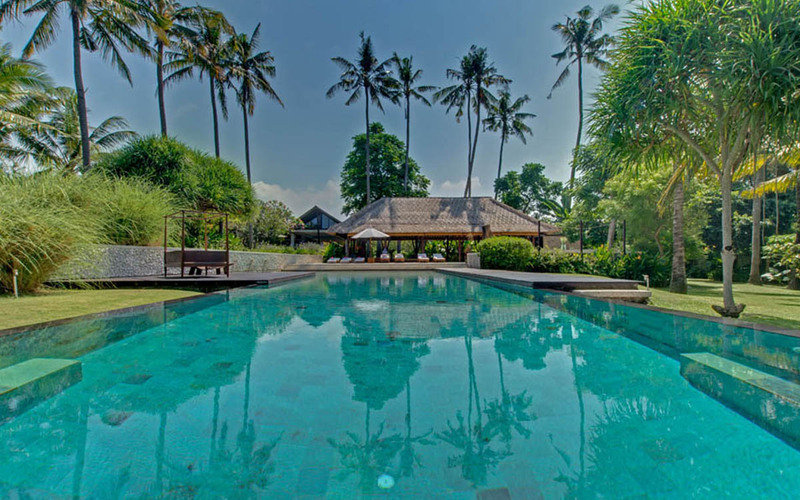 The villa is staffed by an army of warm and friendly Balinese hospitality staff. 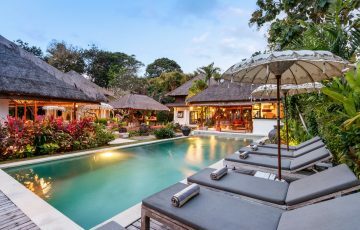 The staff consists of a villa manager, sous-chef, assistant chefs, butlers, villa attendants, gardeners, security guards, along with masseuse and babysitters upon request. 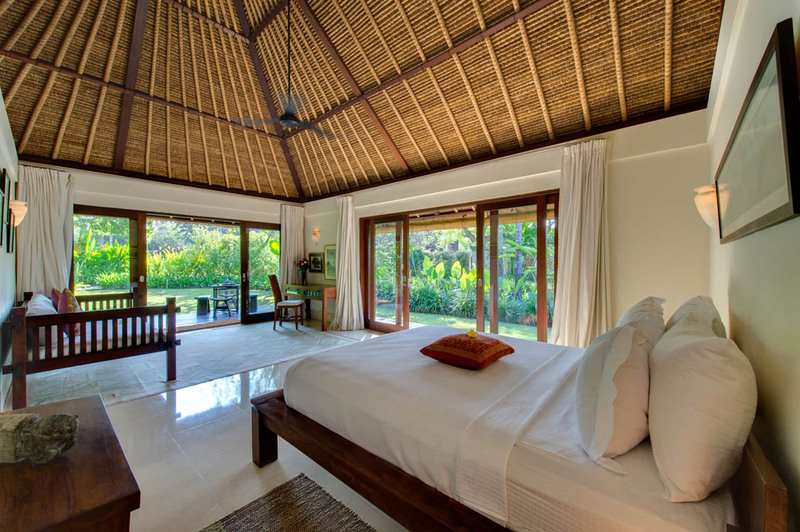 The villa has a designated car and driver on standby for up to 8 hours a day at a special daily rate. 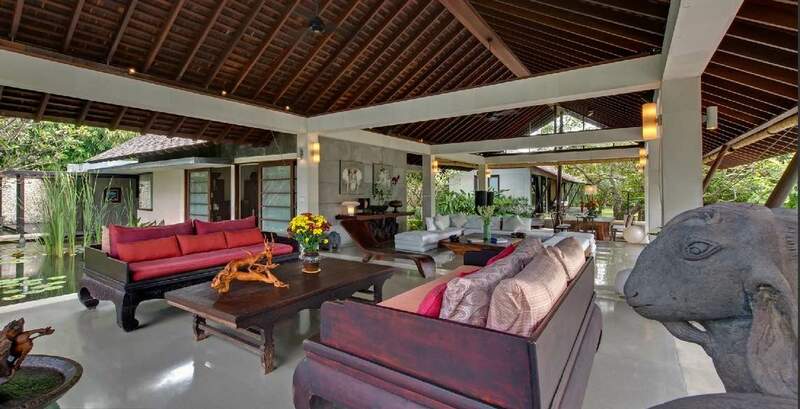 Villa Samadhana is located in Ketewel just 10 minutes drive past the tourist hub of Sanur right on the beach. If you like surfing then Ketewel boasts seven great surf spots including Secret Ketewel, Second Secret, Tempel Point, Biaung, Little Nias, Pica Point, and Coconut Beach. A little further to the east you will find Keramas where there’s a great beach club with swimming pools and a restaurant. 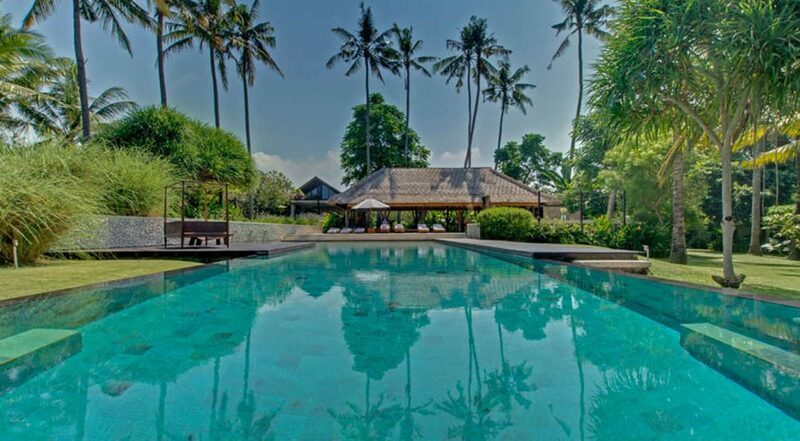 The Bali Safari and Marine Park is only a short drive away and Ubud is also very accessible from the villa. 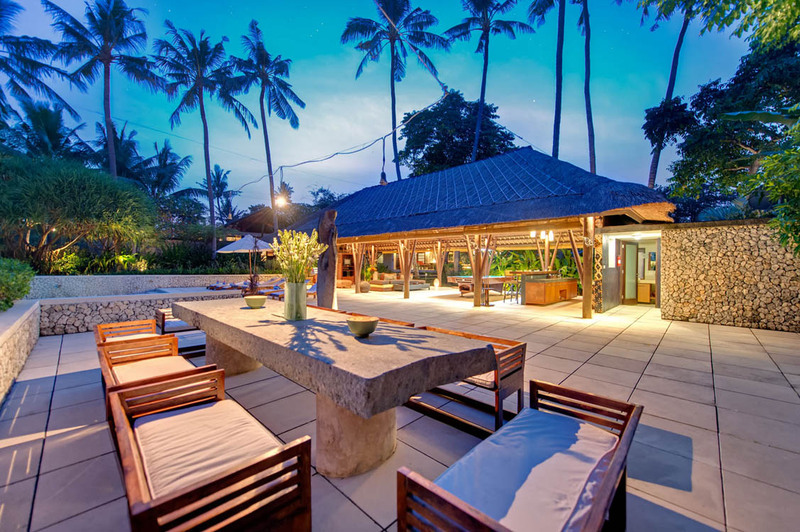 Sanur hosts an array of cafes, bars restaurants and great beaches also. 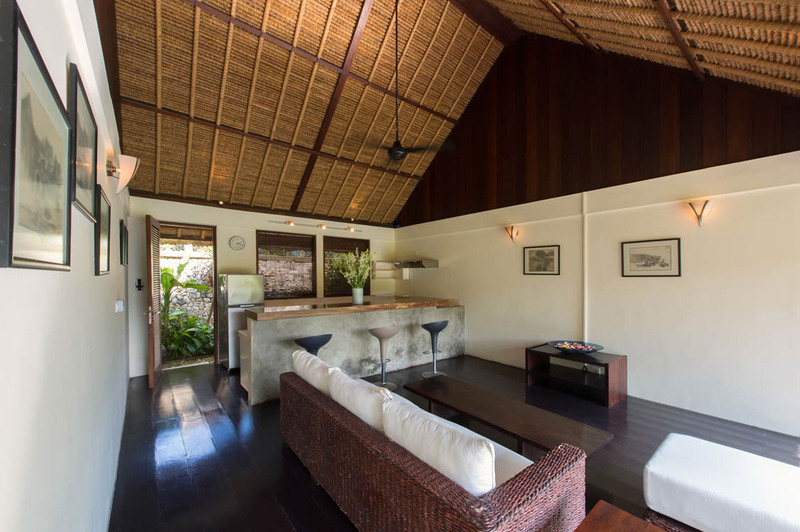 To view other beach front Sanur villas or our full range of Bali villas please browse this website or contact our reservation team. 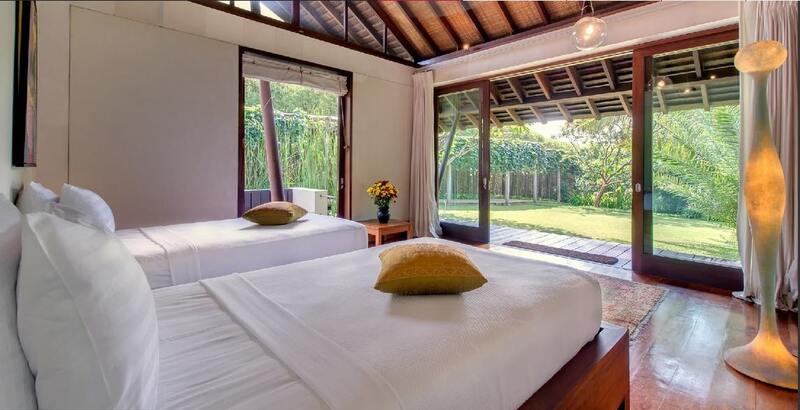 This is a popular Sanur villa rental so if your planning a holiday to Bali, especially during the Australian school or public holidays please book Villa Samadhana well in advance. 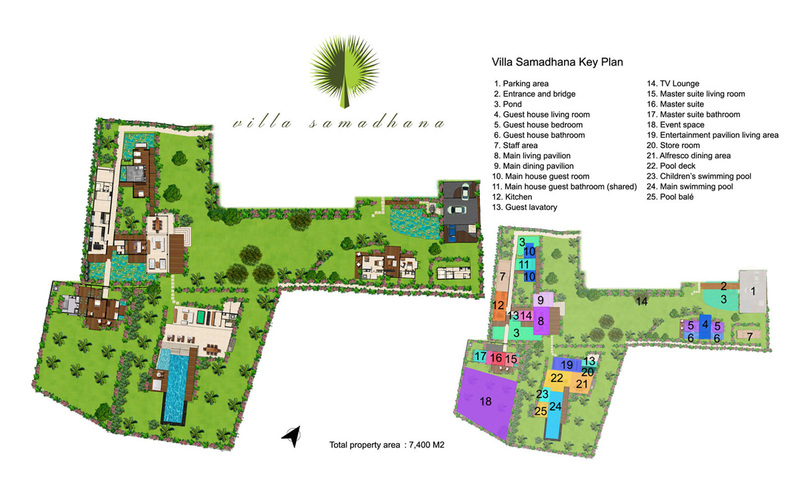 Spent 8 days here with another family and all we can say is how wonderful Villa Samadhana really is. Fabulous location and great facilities made this holiday perfect. The kids absolutely loved this place. 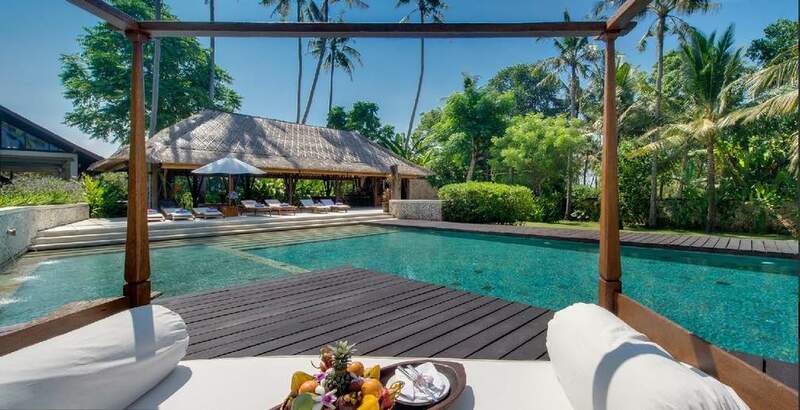 From the second we arrived till the day we left we were living in total luxury and being attended to by the most efficient and very friendly villa staff. 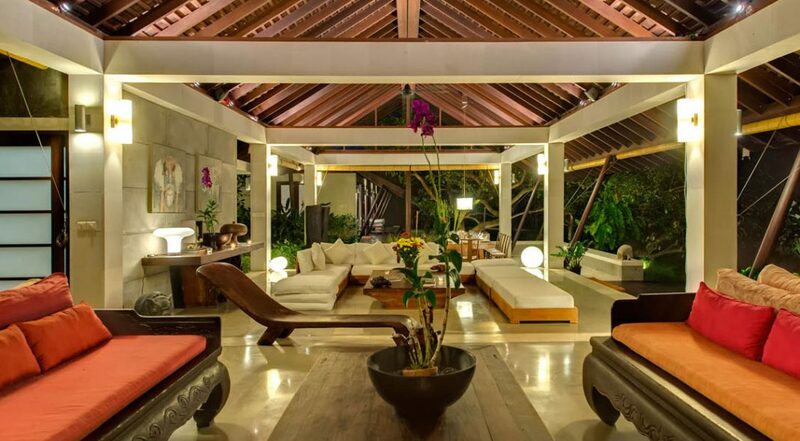 We thoroughly recommend staying at this magnificent villa and easily give it a 10 out of 10. 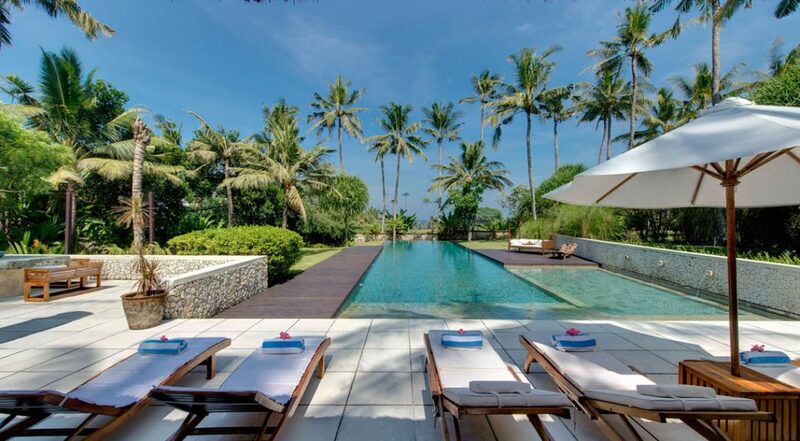 Luxury holiday living is what this villa is all about. 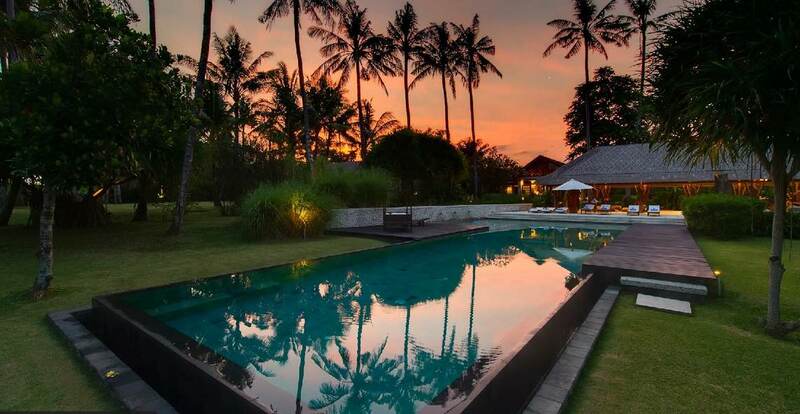 After spending 10 days here with our family we will never ever stay in a hotel again when coming to Bali. 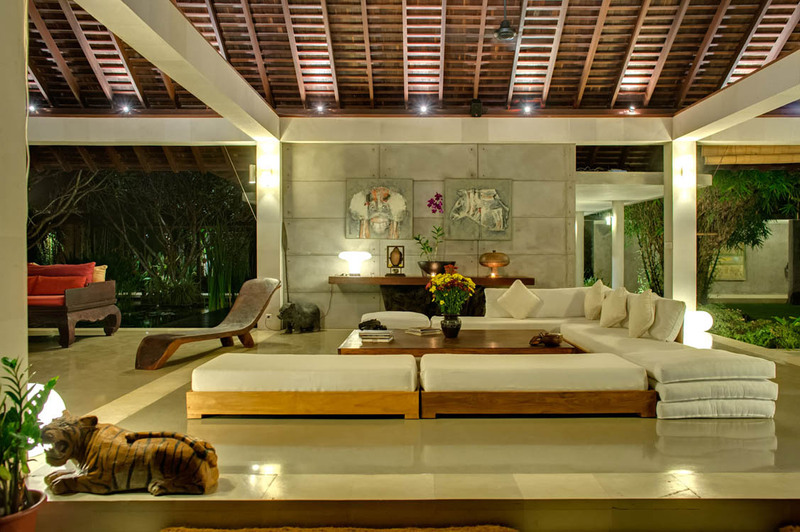 The interiors were stunning and the whole place is designed for comfort and relaxation. After a few days here you can really see a difference in yourself and family - everyone is much more relaxed and has that glowing holiday feel. Try it out for a few days and you will see what we mean. 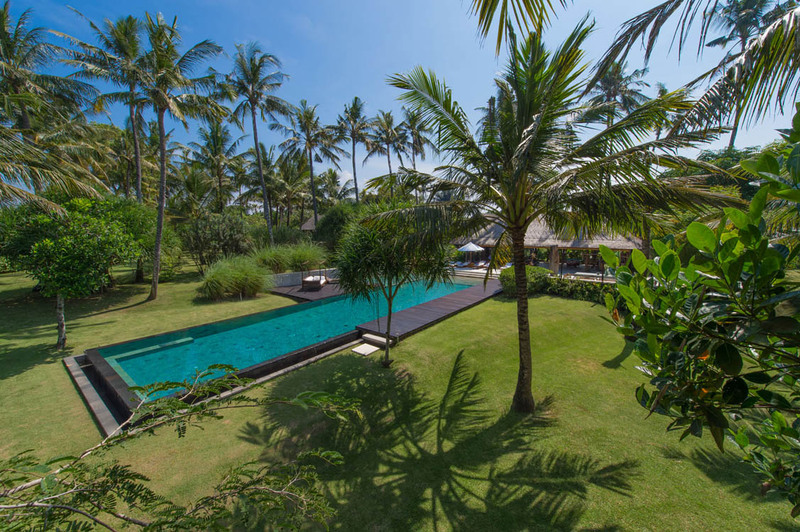 We were looking for a family villa away from Seminyak and thought we would try staying in Sanur for a week. What a great decision. Quiet, tranquil and totally private. 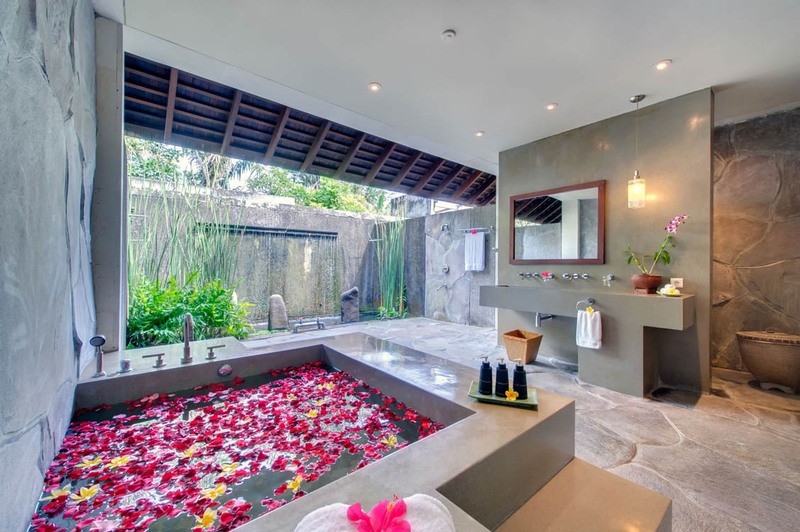 One thing I want to highlight is the gorgeous bedrooms and bathrooms. 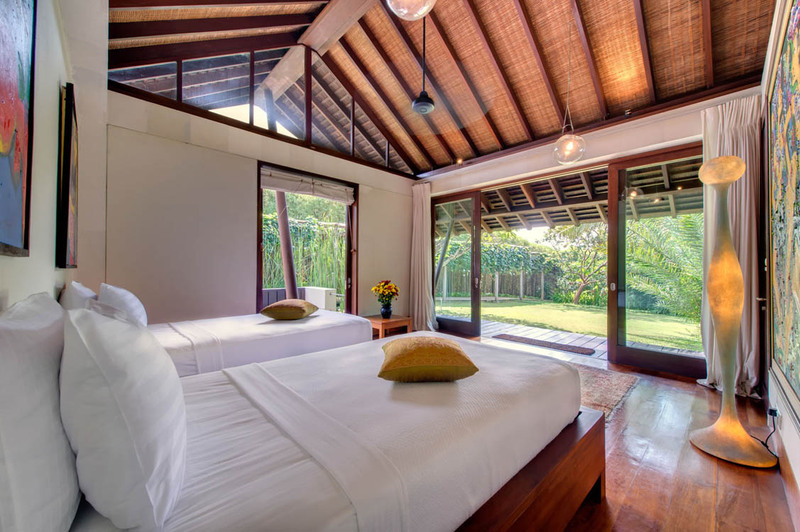 They are spacious, clean and were meticulously maintained every day by the staff. For the price and facilities this is amazing value. 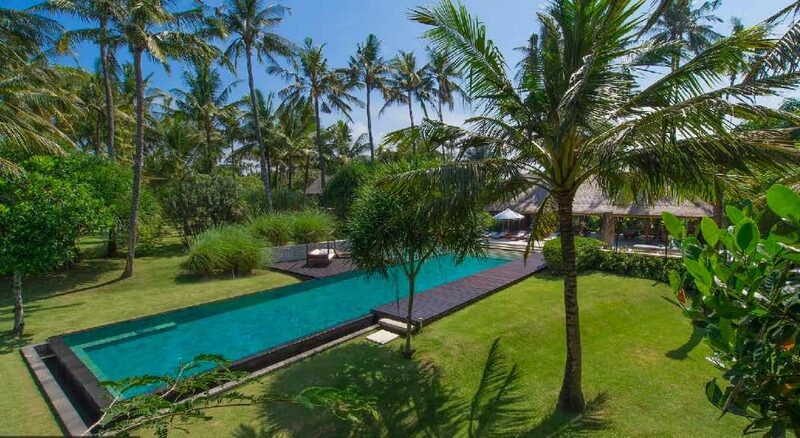 A massive thanks to the team at Bali Villa Escapes ( Christina and Ade) for organising this. The ultimate location for the most amazing holiday. The staff were so professional and really lovely. Our family of 8 had the most incredible time and loved every minute here. 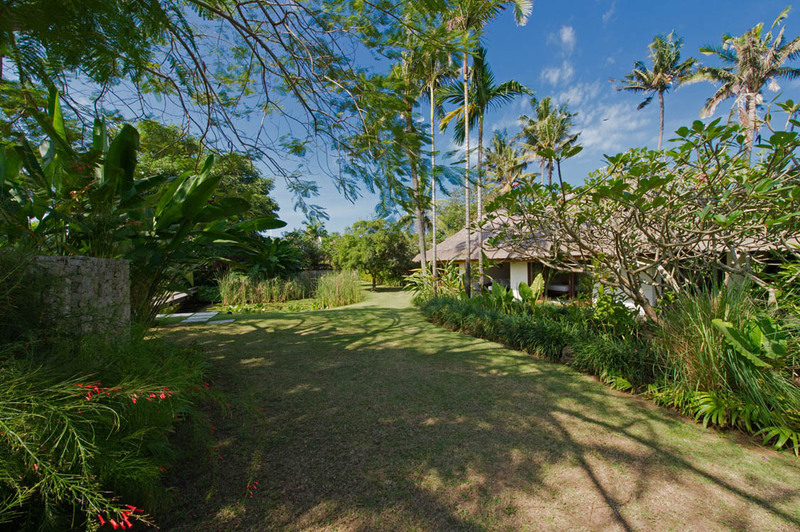 To all the staff at Villa Samadhana, thanks smooch for the best holiday. You guys, (Putu and Wayan) are wonderful.